Previously isolated from the European mainstream, the Balkan and Black Sea regions require serious study as countries no longer ‘at the edge’ of Europe. Previous neglect by mainstream social sciences is changing and university programmes are increasingly considering the countries of this region. The journal therefore aims to establish communication across and between this European region: the wider Balkans and the Black Sea area (Moldova, Ukraine, Russia, Turkey, Georgia, Armenia and Azerbaijan). The journal covers contemporary and twentieth century developments, taking both an academic and a practical policy-oriented approach. It offers a unique opportunity to establish new paradigms of analysis for these regions, attempting to break away from traditional ethnocentric angles and develop a deeper and more fruitful understanding of the larger area. The principal disciplines of our articles are politics, political economy, international relations and modern history, but other disciplinary approaches will be accepted, as appropriate. 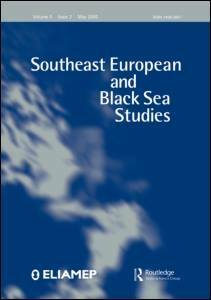 Southeast European and Black Sea Studies is the official journal of ELIAMEP, published four times a year by Taylor & Francis Group (Routledge Journals, London). All research articles published in this journal undergo rigorous peer review, based on both an initial editor screening and anonymized refereeing by at least two reviewers. The journal is included in the ISI Social Science Citation Index (SSCI) and since 2007 it is indexed and abstracted in: The Social Sciences Citation Index®; Social Scisearch®; and the Journal Citation Reports/ Social Sciences Edition. Our journal received its first Impact Factor in 2010.